Boiled peanuts are a very popular street food and snack in the Philippines. Post-holiday blues are no joke. After all the excitement and build up of Thanksgiving, Christmas, and New Year’s Eve, the beginning of January feels so dull and mundane. During such moments when life needs a little pick me up, I turn to the comforting foods of my childhood. Perhaps it’s the memories associated with those foods and flavors, or maybe there really is something magical when food is prepared a certain way. 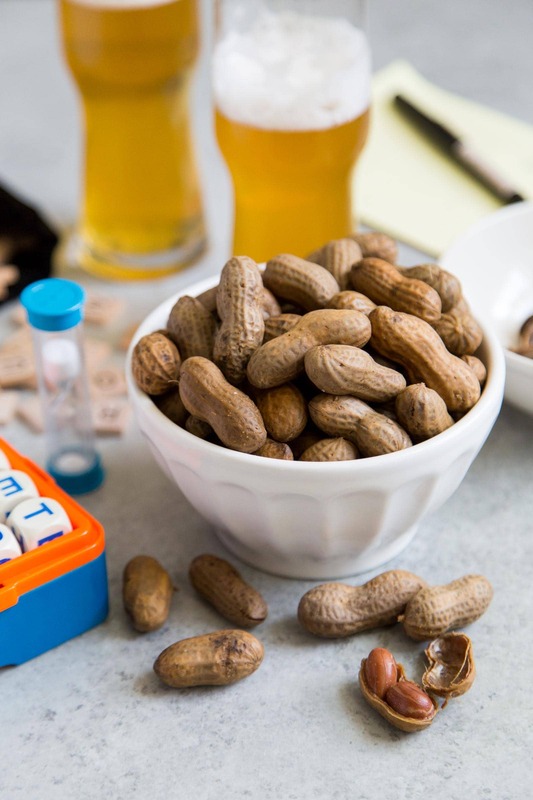 Boiled peanuts are one of my favorite childhood snacks. It’s something I enjoyed eating with my dad. The two of us could polish an entire pot of boiled peanuts in the blink of an eye. Boiled peanuts are a very popular street food (and snack) in the Philippines. It’s common to see nilagang mani being sold in the streets. 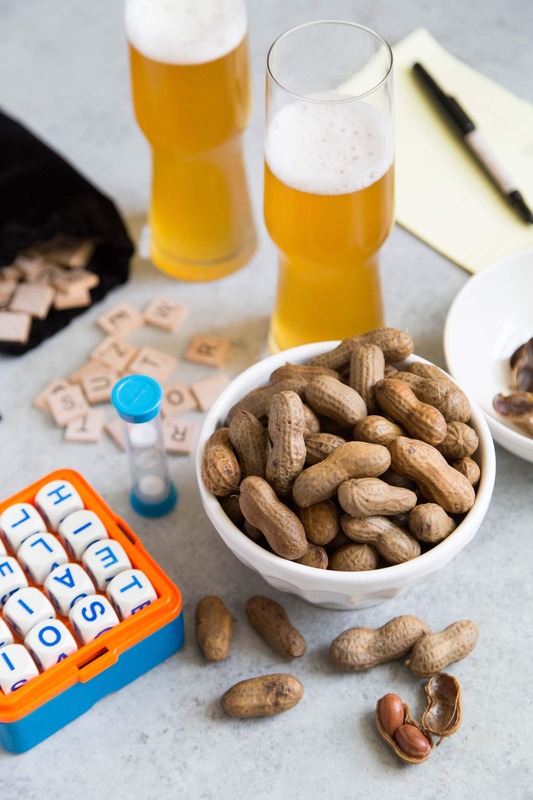 I have lots of fond memories happily munching on boiled peanuts on our drives from the city of Manila to my grandmother’s house about 2-3 hours away. Roads to and from the city are often congested. The traffic of Metro Manila is considered one of the world’s worst. How do we pass the time? Snack, of course! To combat all this time spent in the car, you’ll find all sorts of street vendors selling a variety of delicious snacks: tropical fruits (sliced green mango with bagoong, fresh coconut straight from the trees, or caramelized and fried banana), ice cream (commonly called “dirty ice cream” ), taho (silken tofu with brown sugar syrup), and of course, bags and bags of nilagang mani (boiled peanuts). During the colder winter months, Alex and I spend a lot of time at home playing board games and watching movie marathons. Our snack of choice for these evenings in- boiled peanuts! Since they’re a little salty, it’s great with a frosty beer or a mug of warm tea. 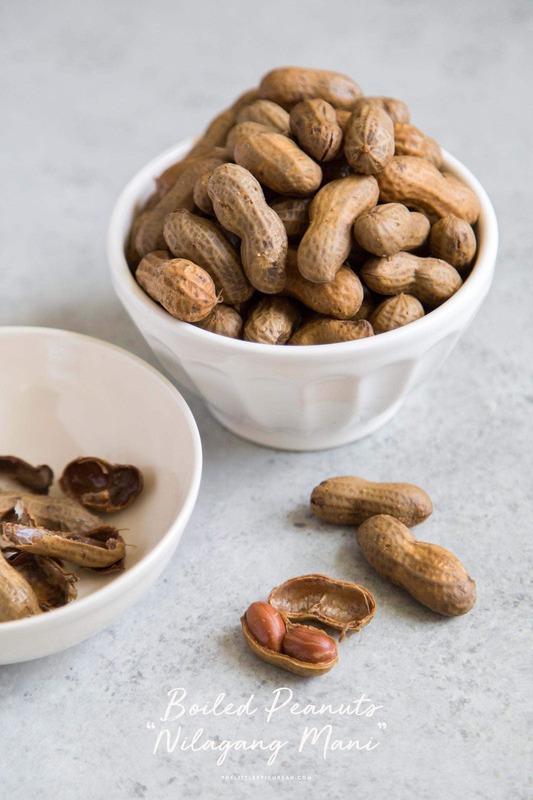 I’ve tested making boiled peanuts two ways: the traditional stovetop method and the quicker pressure cooker method. Both methods yield the same results, however, I prefer using the pressure cooker because it’s much faster! Rinse and strain raw shelled peanuts. In a large pot (at least 8 quart capacity), dissolve salt in water. Add peanuts. Bring mixture to a boil. Reduce to simmer and cover pot. Allow to simmer for 3-4 hours depending on desired consistency. After 3 hours, taste on peanut to determine if additional cooking time is needed. Stain peanuts. Enjoy immediately, or keep stored in the fridge for up to 5 days. 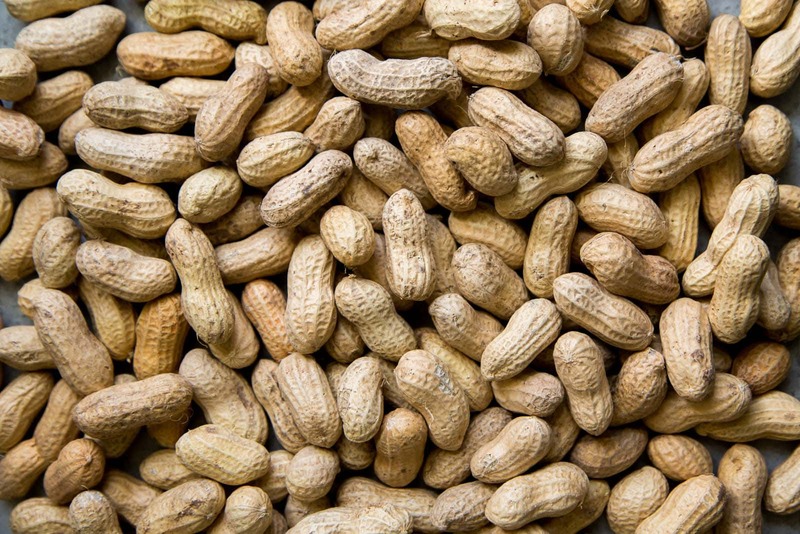 Rinse and strain raw shelled peanuts. In a large (at least 8 quart capacity) pressure cooker pot, dissolve salt in water. Add peanuts. Cover pot and keep pressure valve closed. Cook on high for 60 to 90 minutes. After 1 hour, turn off heat. Keep pressure valve closed and let sit for 30 minutes. Open valve to allow steam to escape. Strain peanuts and enjoy. Cooking times will vary depending on your preference. Cook longer for a softer boiled peanut.